Earl Turner is heating things up at Palace Station where he performs on a regular basis. 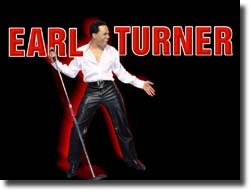 Earl Turner is a multi-talented performer who is a singer, musician, dancer, songwriter, and more. 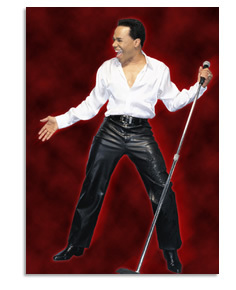 His show is a musical extravaganza that will leave you cheering for more. Turner's show includes a mix of entertaining music that ranges from soft ballads to upbeat and hip songs that will get you moving in your seat. You will hear a collection of other people's music along with his own original songs, such as Love Caught You by Surprise. Turner performs once a night on Sunday through Thursday for an hour each night. This show is considered family friendly. However, anyone under the age of 21 must be accompanied by an adult. It is recommended that you purchase tickets in advance to ensure that you get your seats to this amazing show! Turner recently won the award for the best male vocal performer in Las Vegas so you can expect an amazing show from start to finish.